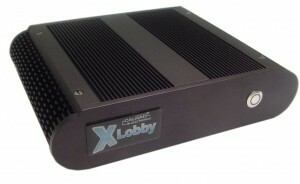 Calrad is currently working on various new prototypes for the next xLobby hardware platform named (Noir) expected out early January 2010 to compliment existing hardware. 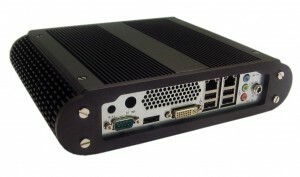 These new pieces of hardware will fearture full passive cooling with no fans, optional built-in wi-fi, optional optical drives, optional solid state hard drives with hardware to support standard mpeg video playback or standard mpeg + blu-ray playback. 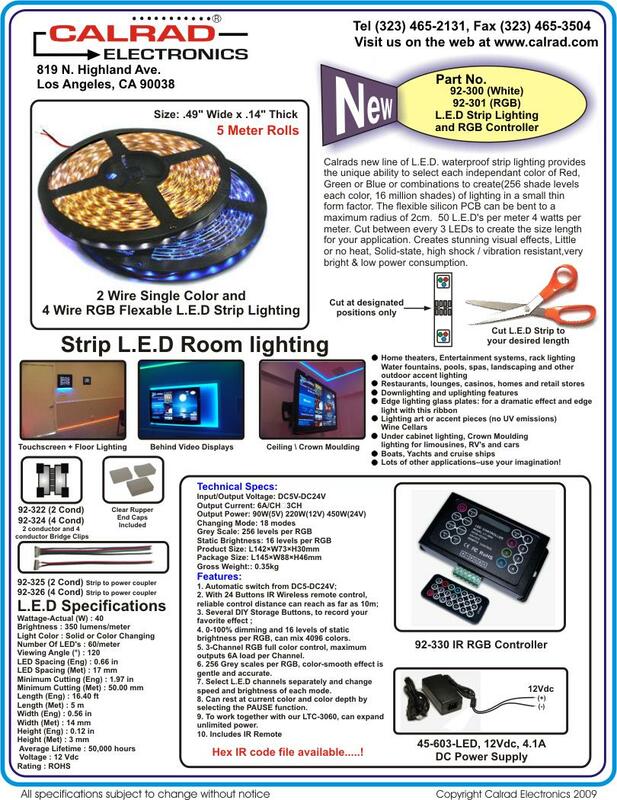 Operates from either from 110Vac or 12Vdc, optional 19″ Rack mounting kits. 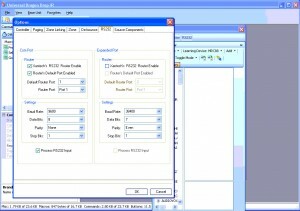 Support options for component, DVI, HDMI, VGA video. Lots of exciting things are planned for 2010. Detailed specifications and more images available soon, stay tunned. 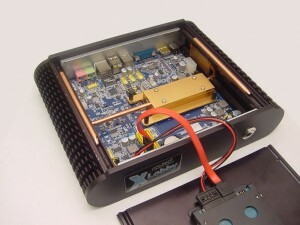 Inside view of the most rescent xLobby-Noir prototype Hardware. – 0000719: [plugin] xweather not downloading weather information correctly (stevenhanna6) – resolved. – 0000723: [setup] new update system built into F2 setup, stable and bleeding edge releases available (stevenhanna6) – resolved. – 0000722: [skin editor] skin editor closes after 30 min of being open (stevenhanna6) – resolved. – 0000716: [triggers] keyboard trigers on left/right etc still call the default handlers (stevenhanna6) – resolved. – 0000721: [generic] external web browser does not respond to browser commands (stevenhanna6) – resolved. – 0000720: [setup] check box under client setup to always send com port and ir command to server (stevenhanna6) – resolved. – 0000724: [skin editor] when changing screen set event editor to null (stevenhanna6) – resolved. – 0000718: [animation] Gifs don’t work properly – they appear to “reload after each loop” (stevenhanna6) – resolved. – 0000717: [generic] if i use setvariable to update a value on the playlist, it does not show the new value (stevenhanna6) – resolved. – 0000707: [triggers] allow keyboard for all keys (stevenhanna6) – resolved. – 0000726: [skin editor] add usbuirt zone description to drop down box (stevenhanna6) – resolved. – 0000725: [skin editor] some server commands disabled when skin editor is open on server (stevenhanna6) – resolved. 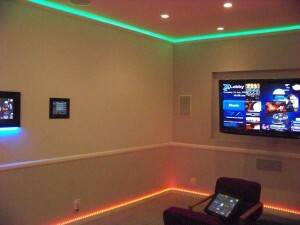 L.E.D lighting provides many benefits to conventional lighting, 1. No heat, 2. Low operating costs, 3. Flexibility of changing lighting brightness with various color combinations to suit different environments, 4. The ease of bending and creating different lighting elements, 5. Indoor/outdoor use, 6. Low voltage DC power. 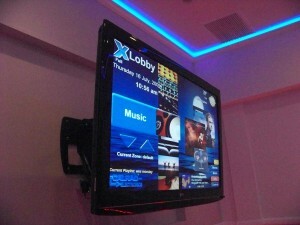 xLobby can control L.E.D. style lighting in several different ways, manual controller, IR or IR+RS232 controllers. Calrad now carries L.E.D lighting products, below are two brochures. 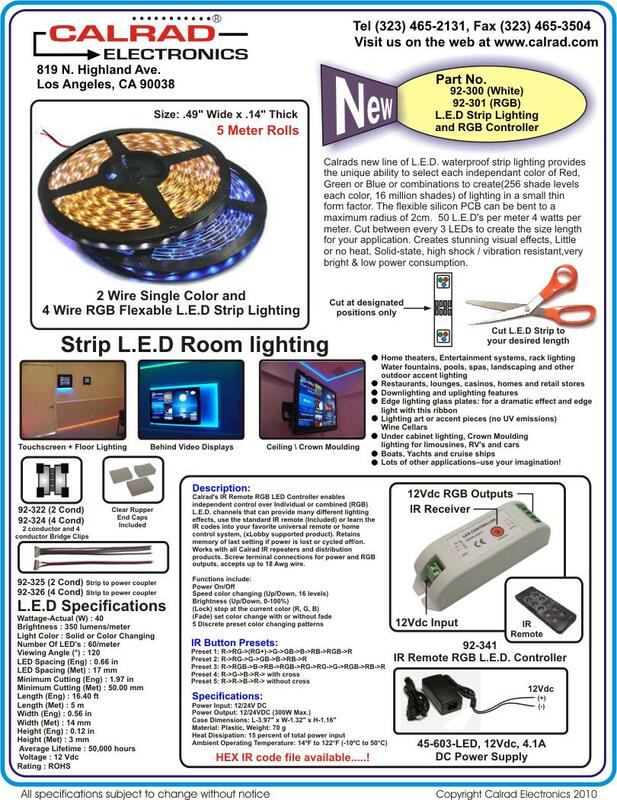 White L.E.D strip lighting, Part No. 92-300, RGB L.E.D strip lighting, Part No. 92-301. 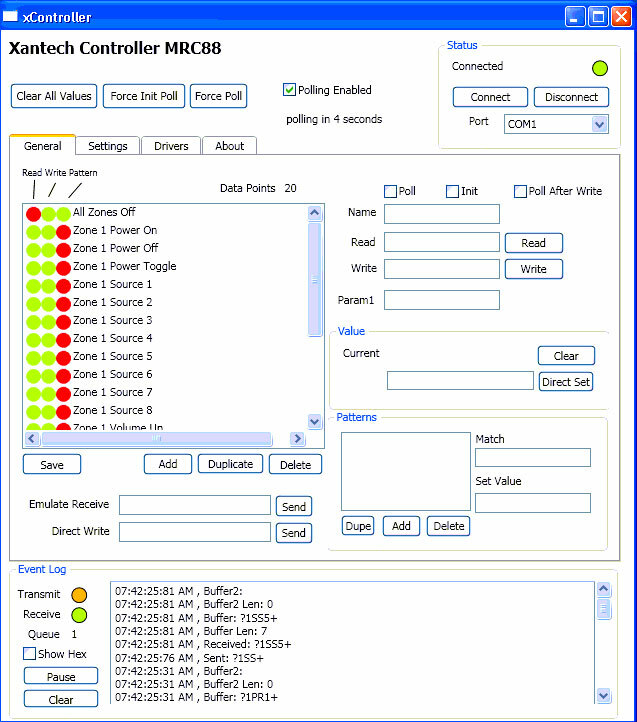 Using xLobbys xcontroller service you can control any RS232 device with full 2 way communication, any xLobby hard wired clients or wireless xLobby webtablets that are connected to the network has access to the resources of Xantech hardware. 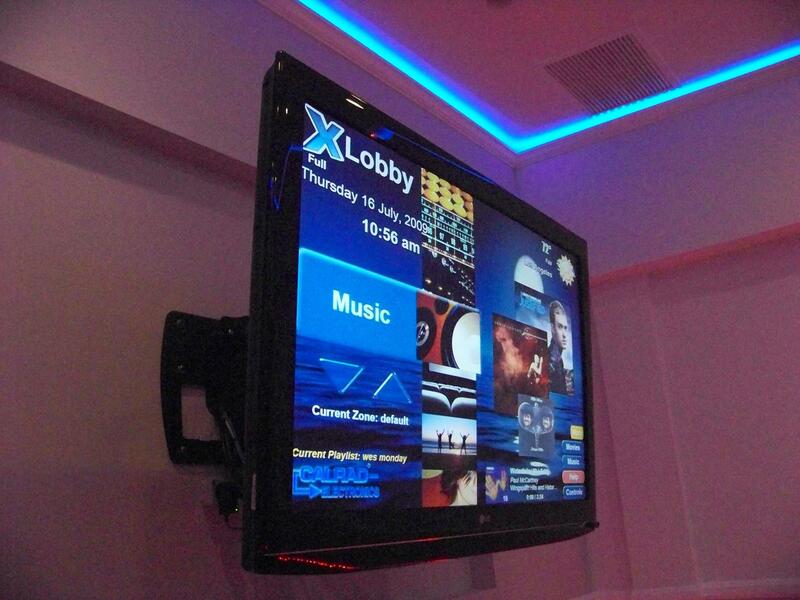 One way communication is also available directly from the core resource events (RS232) in xLobby without using the xLobby xcontroller service. 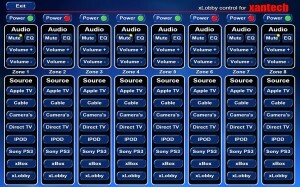 We will be adding basic control menus for Xantech to be included in future releases of xlobby this will assist users in setting up Xantech hardware quickly for xLobby to control. 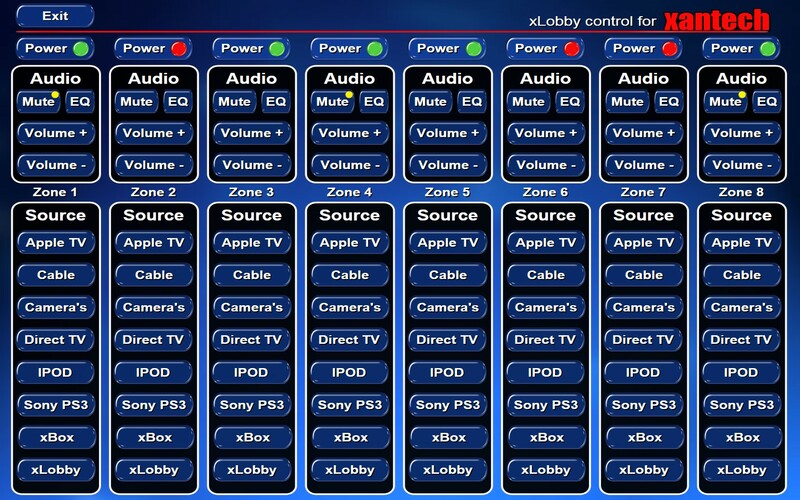 The settings below mut be properly setup in order for the xLobby xController service to communicate with the Xantech MRC88M Controller/Amplifier. The MRC88M is an eight-source, eight-zone A/V distribution amplifier that allows the control and distribution of eight separate source components to eight different zones, with the capacity to expand to up to sixteen zones of control and distribution. 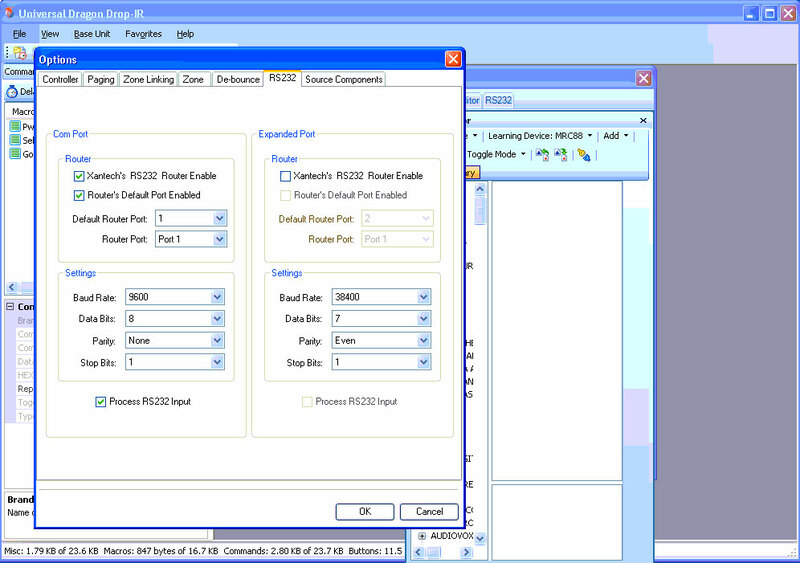 It allows control of source components through both RS232 and IR. 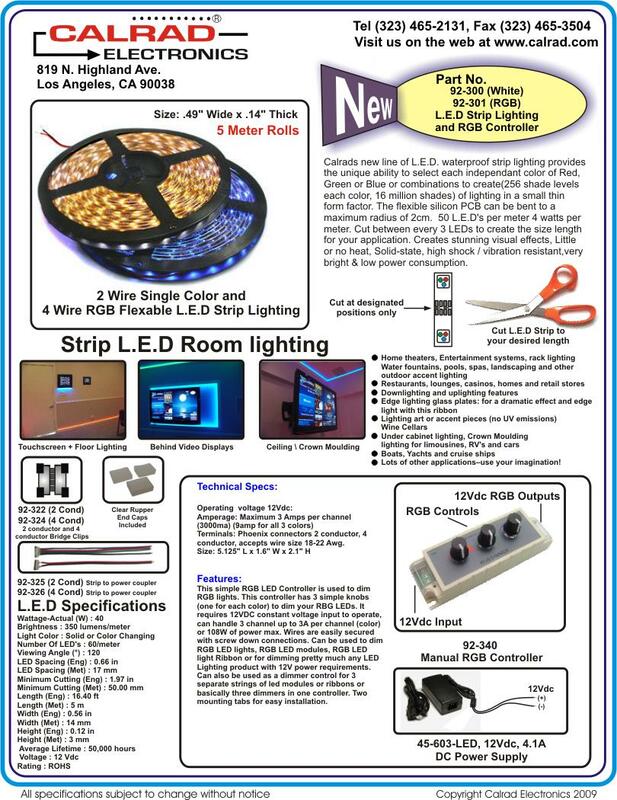 Also available in 230 VAC / 50 Hz. Using the expansion port from the MRC88M provides communicaion to connect either Xantech HD44C (4 x 4) or HD88C (8 x 8) component video matrix switchers. The source inputs are buffered to provide an output at the same level as the input; i.e. Unity Gain (assuming a 75-ohm termination is on the output). Use these connections for HD88 expansion systems. The buffers are an active circuit. The HD88 must be powered on for an active connection. The jacks are color-coordinated to match the HD source component output color scheme. These are Gold-plated RCA jacks providing a connection from the output of a source component to the video matrix switcher. The jacks are color-coordinated to match the HD source component output color scheme. The RS232 Port is bi-directional. The communication parameters are set to 9600 Baud 8-N-1. 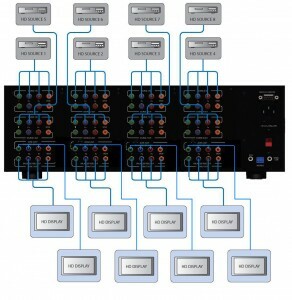 The 8-Source, 8-Zone HD Video Matrix Switcher can be expanded into larger systems. 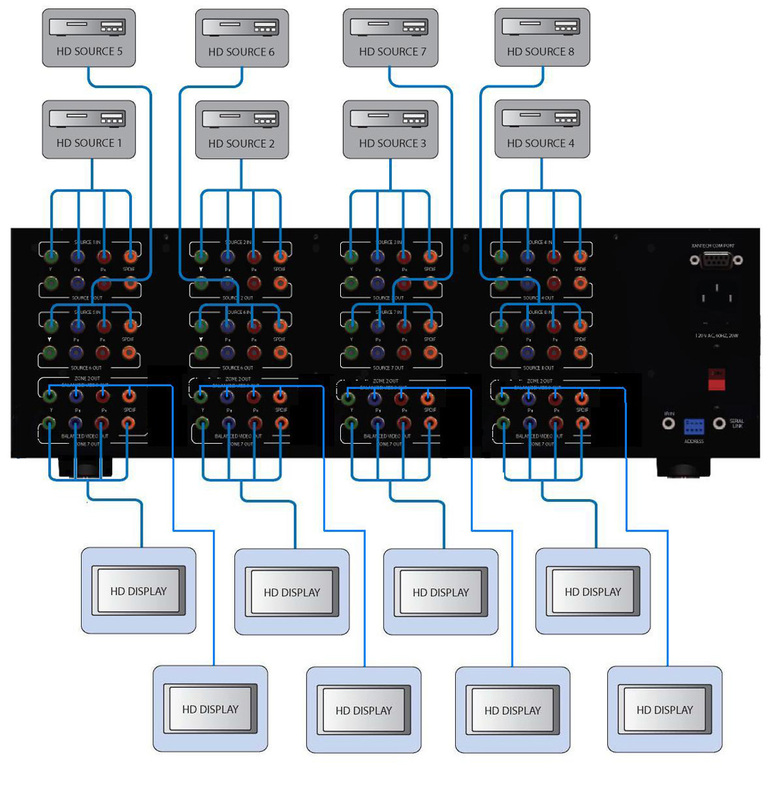 By using any using multiple (up to four) units, a larger High-Definition distribution system can be created for up to 32 Zones of Component Video and Digital Audio Distribution. The expanded units must have their own unique address. The included RS232 expansion cable allows the units to be daisy-chained via the RS232 control ports. This is done by connecting the SERIAL LINK port of the master to the XANTECH COM PORT of the other unit. The XANTECH COM PORT of the master is utilized to provide control of the entire system. Note that the Master is the main controlling unit. This unit is in charge of coordinating the communications between all expanded units. It is identified as the master by the unit address assigned to it. The IR-IN port utilizes a 3.5mm mono jack. Use this port to connect to an IR emitter output port of a Xantech connecting block. 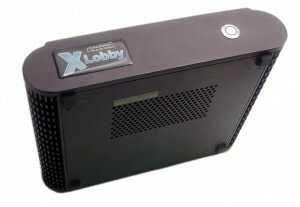 You are currently browsing the xlobby news blog archives for November, 2009.